Dr. Sachibu Mohammed is a development professional with about 20 years of experience in development work in Ghana and West Africa. Sachibu’s work is mostly focused on sustainable development and poverty reduction. He holds a Doctor of Philosophy in Endogenous Development from the University for Development Studies, Tamale, Ghana. 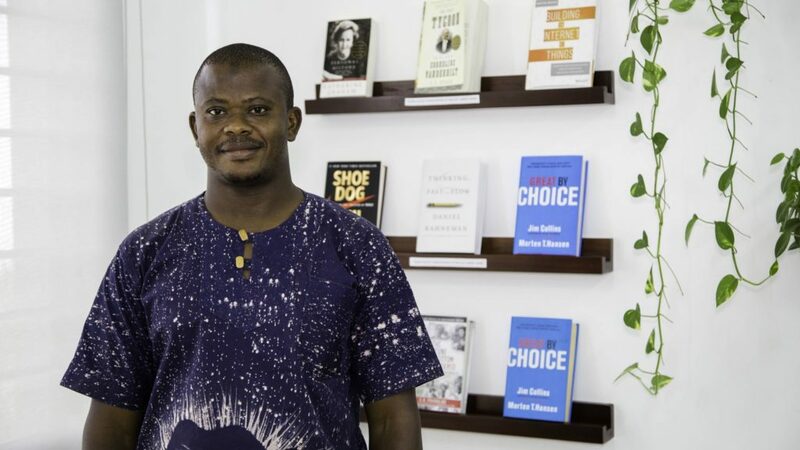 He has worked in various key positions with both local and international development organisations such as Hivos East Africa, SNV, Netherlands Development Organization, the Integrated Social Development Centre (ISODEC) and the Ghana National Education Campaign Coalition (GNECC). Green-Ef Eco-Business Village Ltd (Green-Ef) is a new generation of environmentally friendly, community oriented and knowledge driven cluster of twelve business subsidiaries. The company is modelled with the vision of becoming the global leader in ecological business conglomerates and impact investment. Green-Ef’s mission is to transform the world’s social, economic and environmental (mis)fortunes into measurable socio-economic and environmental fortunes through innovation, steady provision and industry leadership. Currently, Green-Ef offers unique products and services in eco-friendly agriculture and sanitation such as soil testing, rhizobium inoculants for legumes, biochar, Green-Ef Eco-Soil and Organic Home Gardening – an innovation where Green-Ef provides technical support in the design, construction and management of organic home gardens for households, hotels and restaurants to grow their own organic, safe and affordable vegetables that are free from contamination.